The Belgian, with his triumph of Sunday at Paris-Roubaix, adds four. Only four Spanish cyclists have won any of the five classics. Strive for Five is like the Belgian Philippe Gilbert and his team, now Deceuninck, baptized the challenge of the Belgian in 2018, which was no other than conquering the five cycling monuments. The germ was his tremendous triumph in the Tour of Flanders 2017, the third of his record, where he was crowned with a distant attack. However, last season as close as he was to add another classic of this level was his third place in Flanders, being 15th in Roubaix and 75th in the Milan San Remo. 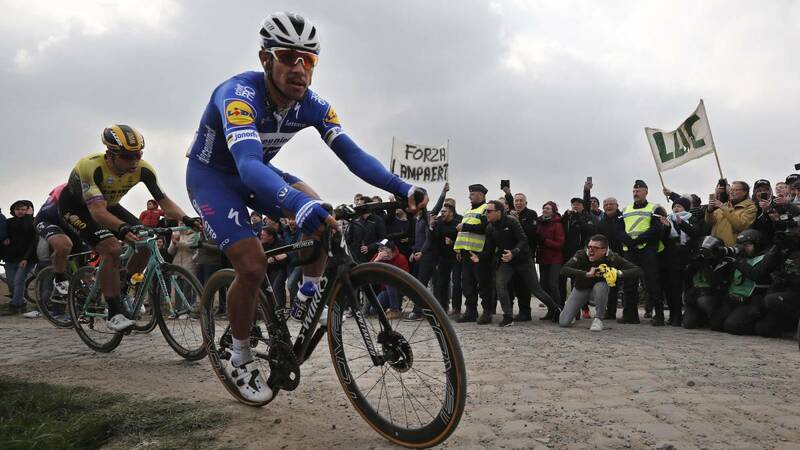 In this 2019 the slogan disappeared from the communication of the team, but Gilbert did not get out of his mind a challenge that since last Sunday, with his great victory in the Hell of the North, is closer. At 36, has achieved victories in the three great, classic, the 2012 World Cup. .. and only lacks the Milan San Remo to enter history (Flanders won it in 2017, and already had the Liège of 2011 and two Lombardies in 2009 and 2010). Gilbert, today, is the only cyclist who could enter the short term in perhaps the most select club in the history of cycling. He lacks San Remo, a race that perhaps suits his characteristics worse, but the last triumphs of Kwiatkowski (2016), Nibali (2017) and Alaphilippe (2018) have shown him the way. El Caníbal, the best cyclist of all time, winner of the big three, the World ... it only took five seasons to register his name in the five monuments (in 66 he won his first San Remo and in 71 he completed the collection in Lombardy). In the period between 1966 and 1976, conquered 19, more than anyone in history: seven Milan San Remo (66, 67, 69, 71, 72, 75 and 76), two Tour de Flanders (69 and 75), three Paris Roubaix (68, 70 and 73) and two Lombardies (71 and 72). To this day, it seems that no one can reach him. The second best classicomano of all time added 11 monuments between 1970 and 1979, being the Roubaix the most repeated and what earned him the nickname of Monsieur Roubaix (only Boonen equaled him almost 40 years later) . He started his collection in Liege (1970), completing the collection in Roubaix (72, 74, 75 and 77), San Remo (73, 78 and 79), Lombardy (74 and 76) and finally in Flanders (1977) for a total of 11 wins that make him a legend of the classics. In the big ones, without the ability to conquer any (fourth in the 1975 Giro), went through 24 stages, 22 of them in Italy and one in Tour y Vuelta.. He never won the World Cup (silver in 1975), although that year he did. took the cyclocross. One of the most outstanding sprinters in history, with more than 400 wins in his extensive career on the road and as a pistard, Rik Van Looy was the first cyclist in history to achieve the five monuments and to which fewer seasons cost him, barely four. In his career he added eight in total: one San Remo (1958), two Flanders (59 and 62), three Roubaix (61, 62 and 65), one Liege (61) and one Lombardy (59). 37 stage victories achieved in the big three, but neither won any, being his third place in the Vuelta (59 and 65) his greatest achievements in general. He also won the World Cup (1960 and 1961) .